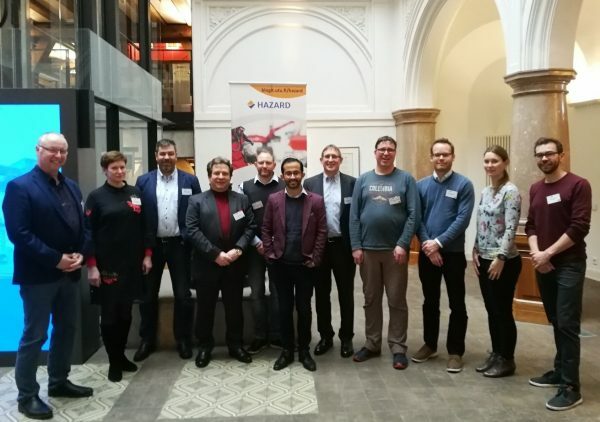 Hamburg University of Technology (TUHH, leader of WP4) together with Hamburger Hafen und Logistik AG (HHLA, leader of WP5) organised the third co-operation meeting for risk assessment on 16 January 2019 in Hamburg, Germany. Thirteen participants representing, in addition to TUHH and HHLA, Southwest Finland Emergency Services, Vilnius Gediminas Technical University from Lithuania, University of Borås from Sweden and Viimsi municipality from Estonia attended the meeting. The meeting focused on the developed online toolbox for risk assessment in seaports. This toolbox was carefully developed based on comprehensive literature review and interview studies that supported the identification of suitable risk assessment methods, which could applied in seaports. This dynamic toolbox, building on the ISO 31000 process for risk assessment, will enable its users to also suggest new methods or update the current content. This can facilitate a continuous improvement process that is necessary with emerging risks. Exercises and group work were organised in order to validate the toolbox as well as to extract the additional requirements and remarks that should be considered in the final version. Furthermore, the leaders of WP2 (Southwest Finland Emergency Services), WP3 (University of Borås) and WP5 (HHLA) held presentations related to emergency management, standards and regulations, as well as risk analysis in seaports. 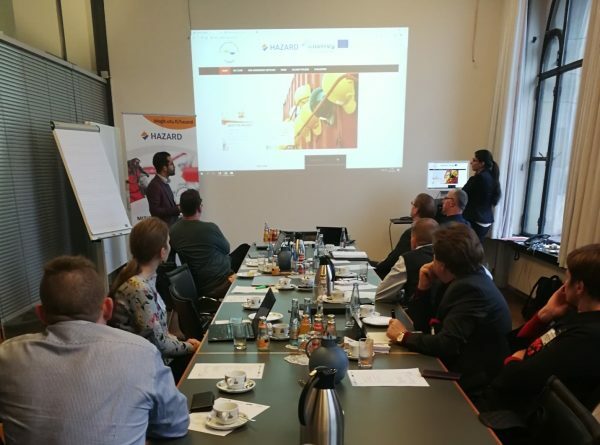 The co-operation meetings utilise the synergies among the different work packages of the HAZARD project, especially with the participation of different stakeholder categories coming from different BSR countries, such as authorities, knowledge partners and terminal operators. These co-operation meetings on the one hand, help in exchanging vital information concerning the current approaches of risk assessment implemented in the BSR core seaports. On the other hand, they support the development and validation of the solutions and methods developed by WP4.